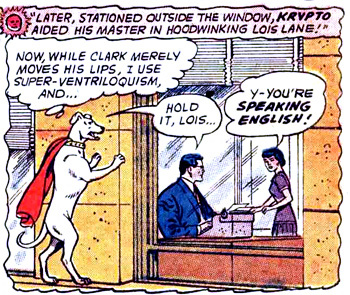 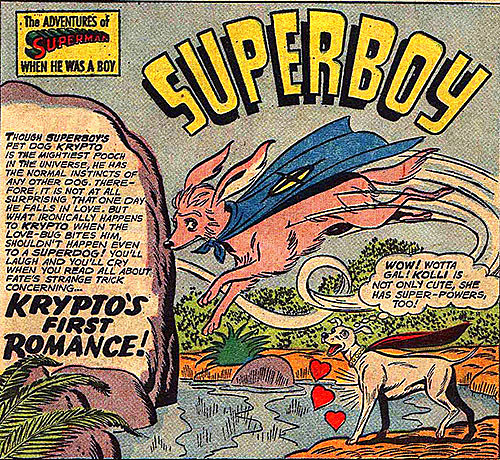 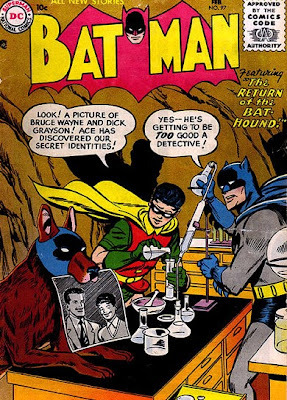 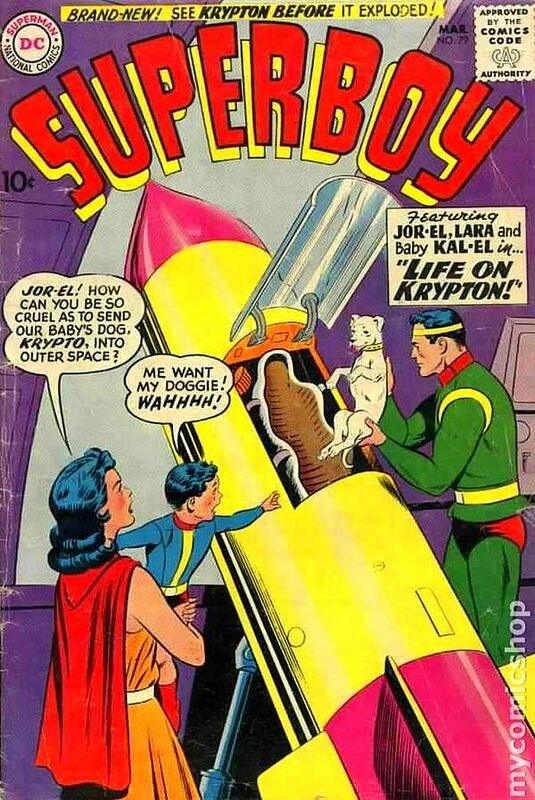 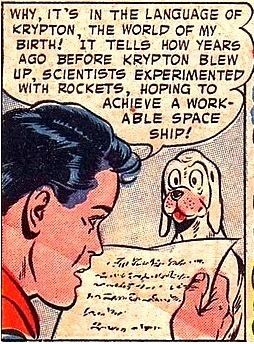 The 'Super Pets', debuted with 'Krypto' the superdog in DC's "Adventure" #210 (1955). 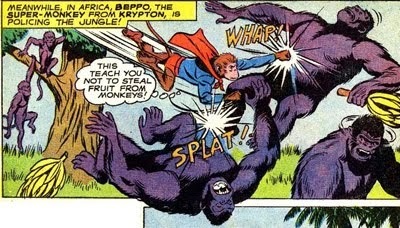 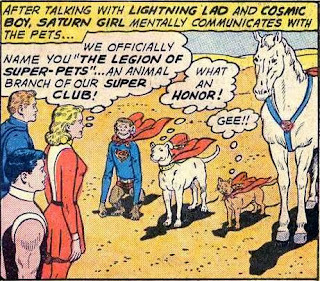 'The Legion of Super-Pets' debuted in "Adventure Comics" #293 (1962). 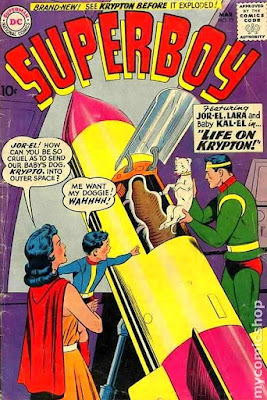 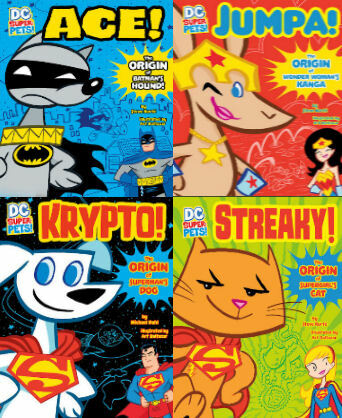 The original Legion roster included Krypto, 'Comet' the superhorse, 'Streaky' the supercat, 'Beppo' the supermonkey and 'shape-shifter' 'Proty II'. 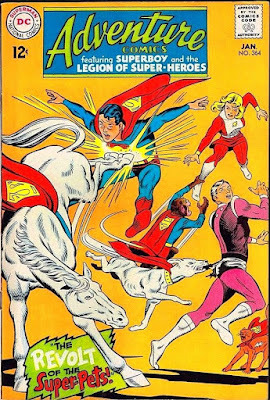 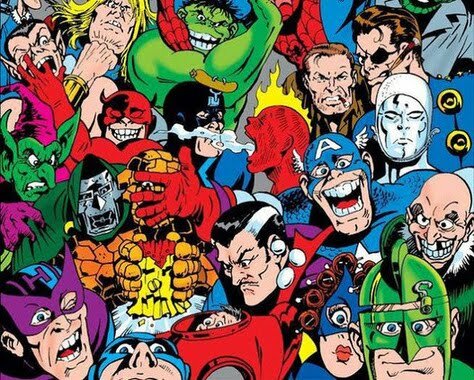 Significant appearances include "Adventure" #322 (July 1964) when 'Proty II' is initiated into the team and "Adventure" #343 (April 1966), when the pets help the 'Legion of Super-Heroes' battle the 'Luck Lords'. 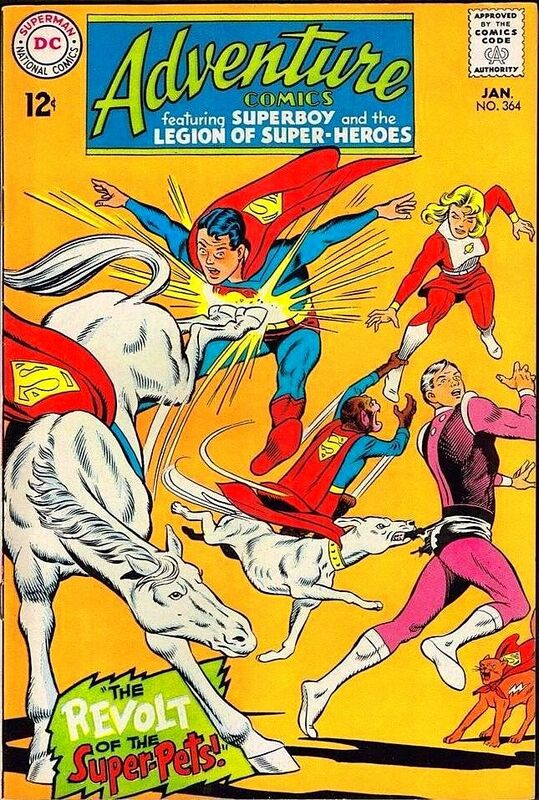 "Adventure" #364 (January 1968) was titled, "The Revolt of the Super-Pets!" 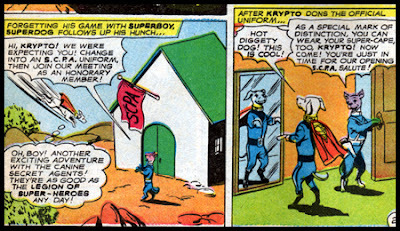 The team rarely appeared after the 'Silver Age' except for Krypto who became a supporting character in several "Superman" titles. 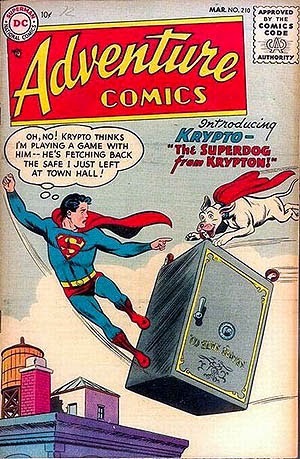 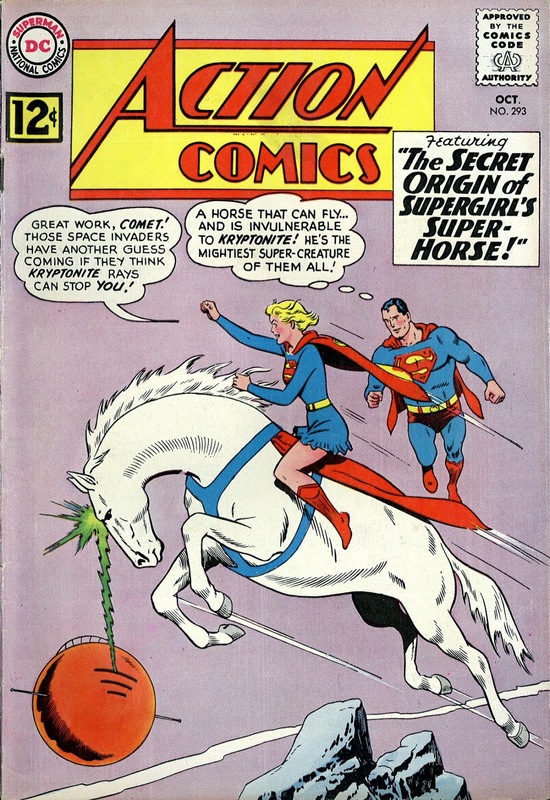 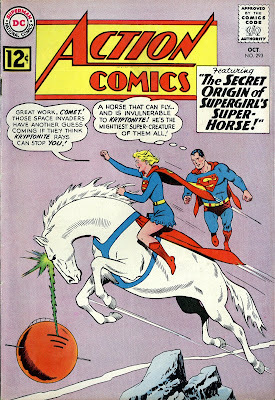 Other versions of the 'Super-Pets' appeared in "DC Super Friends" #14 and on the cover of Marvel Comics' "Not Brand Echh" #7. 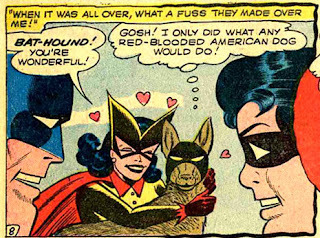 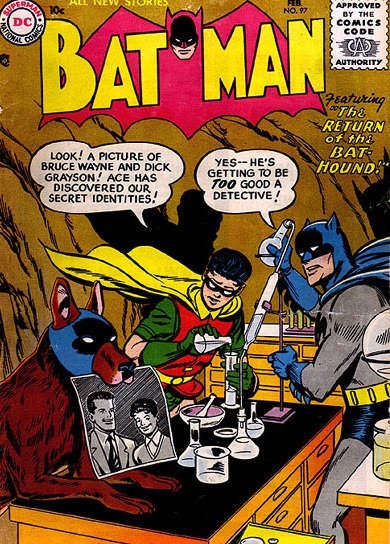 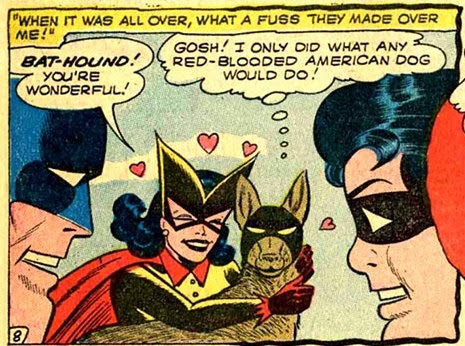 DC Super Friends included 'Ace the Bat-Hound'. 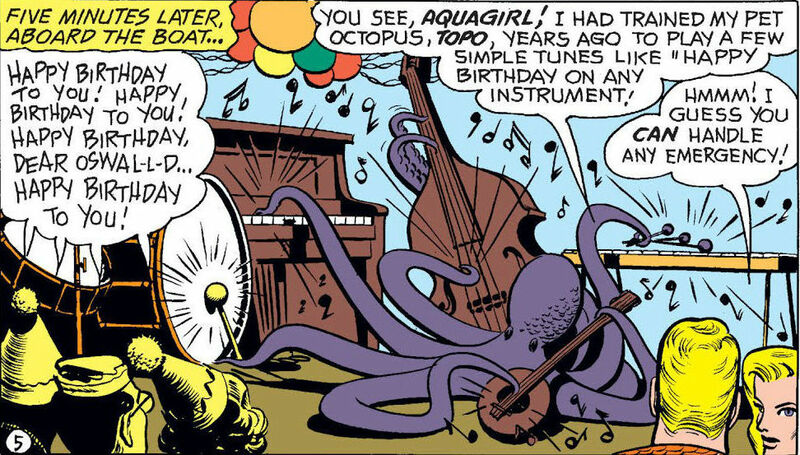 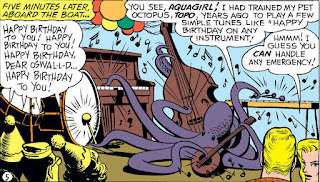 Also in Super Friends was the 'Aquaman' octopus 'Topo' and 'Jumpa' the 'Wonder Woman' kangaroo. 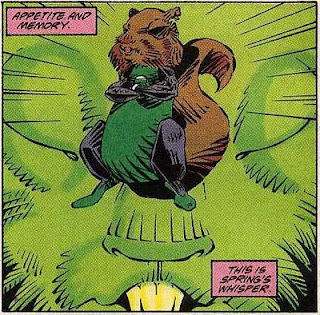 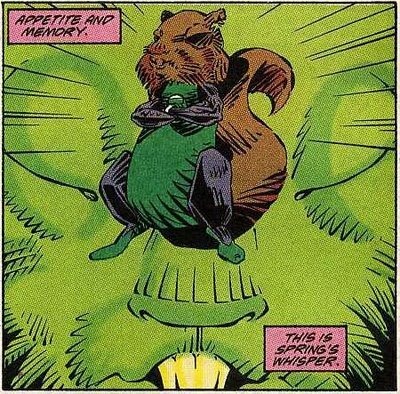 The group was led by 'Ch'p', a squirrel-like 'Green Lantern', that predated Marvel's 'Rocket Raccoon'. 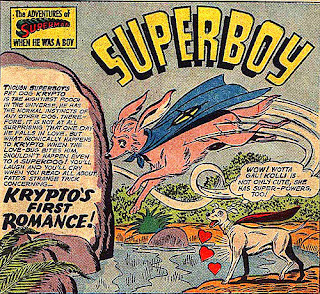 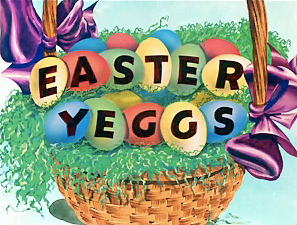 ...'Griff the Vulture', 'Webbik the Tarantula', 'Crackers the Hyena', 'Power Puss', 'Storm the Seahorse', 'Loafers the Hound Dog', 'Brainicat', 'Gumshoe the Aardvark', 'Pig Iron', 'Tusky Husky', 'Hot Dog', 'Whizzy the Supercat' and 'Drooly the Old English Sheepdog'.